Last spring, Dr. Wayne Johnson approached Hardin Library staff about the possibility of using library space for the small-group component of the human physiology course he teaches at the College of Dentistry. Because the classrooms in the East and West Commons were already heavily booked, we began looking at other space. The East Commons on the 2nd floor had been recently refurbished to include cabana-like group studies and restaurant-style booths, each seating about 6 people. Dr. Johnson saw the possibility of using this space for this class, which consists of 4 small groups meeting simultaneously. 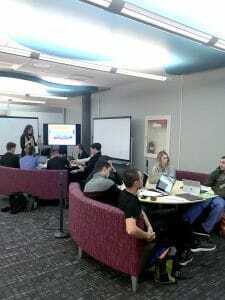 All that was needed was screen-sharing technology and more white boards, and the Learning Lounge was created. The Learning Lounge is straight ahead when you enter the East Commons, and consists of the two group studies and the two booths in front of the studies. Each study or booth has a 55” monitor equipped with Mersive Solstice software that allows users to wirelessly share the screens of their laptops or mobile devices by connecting using either a browser or the free Solstice app. Directions for connecting are shown on the monitors. White boards are also available in the Learning Lounge. 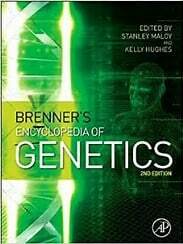 Brenner’s Encyclopedia of Genetics features short entries on genetic topics written by experts in the field. The articles discuss, define, and explain key elements in genetics. Each topic refers you to further readings and gives a brief biography of the author. Infohawk + is the new public catalog which searches by default all UI Libraries holdings + many of our subscribed literature databases. Infohawk, the traditional catalog, has retired. This tool is similar to SmartSearch in that it is a discovery tool, which means that it is iintended to be a starting point for finding information. 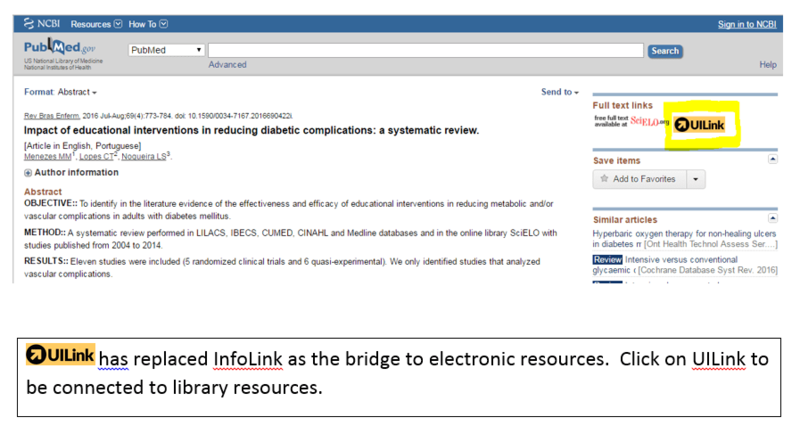 When an thorough literature search is needed, we recommend use of literature databases directly (PubMed, CINAHL, Scopus). If you would like to learn more about using Infohawk+, please view our tutorials, or contact us. UI Link is replacing Infolink from all databases. 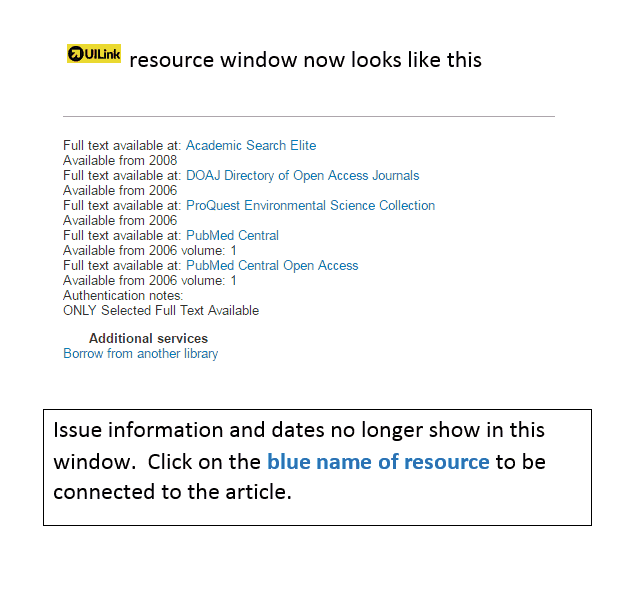 It continues to be bright yellow and serves the same purpose: to link to electronic full text if UI libraries has a subscription or to direct you to request an item through interlibrary loan when electronic access is unavailable. 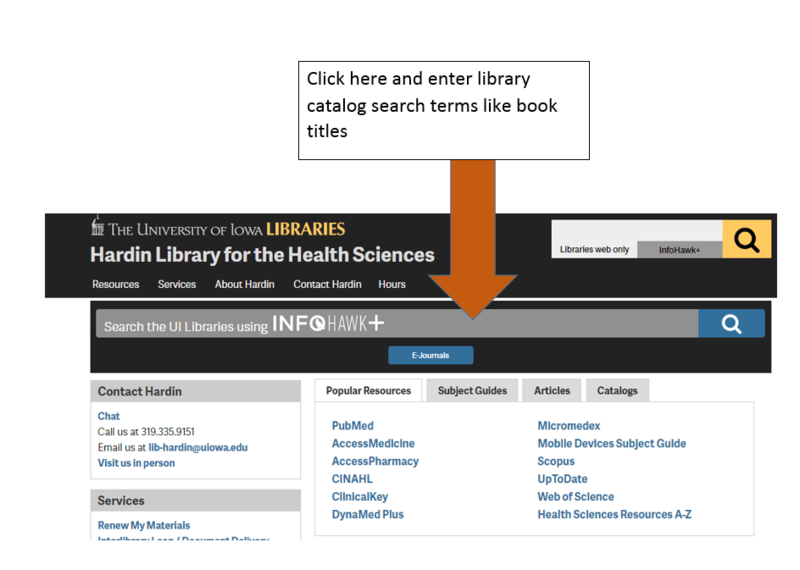 UI Link is active for many databases, such as Pubmed and CINAHL, and the transition will continue to take effect for all resources occur over the next month. Because this is a new system, the implementation team is working to resolve problems. One known issue is that the link to borrow from interlibrary loan (borrow from another library) does not initiate a request with pre-population of the request form, as it previously did with Infolink. Please let us know about other issues you encounter so that we can continue to work toward improving functionality. 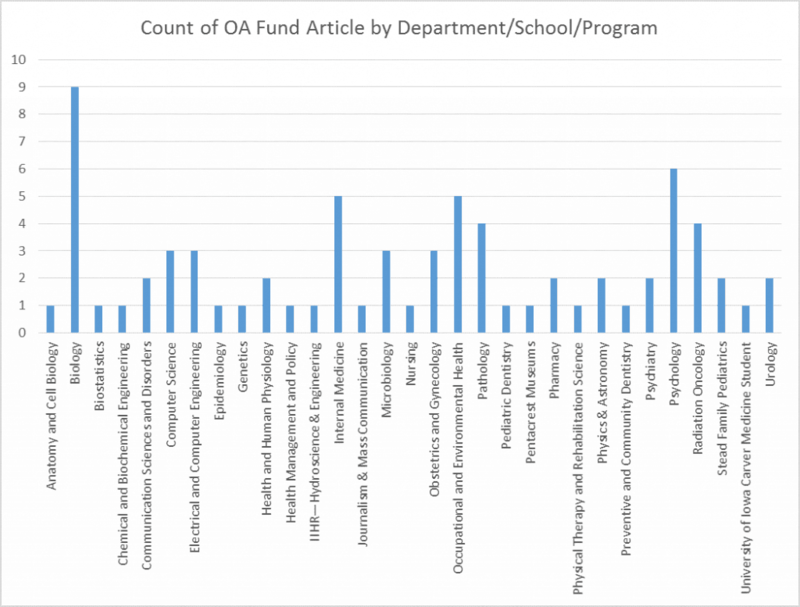 The fund is meant to encourage the University community to publish their research in open access journals. 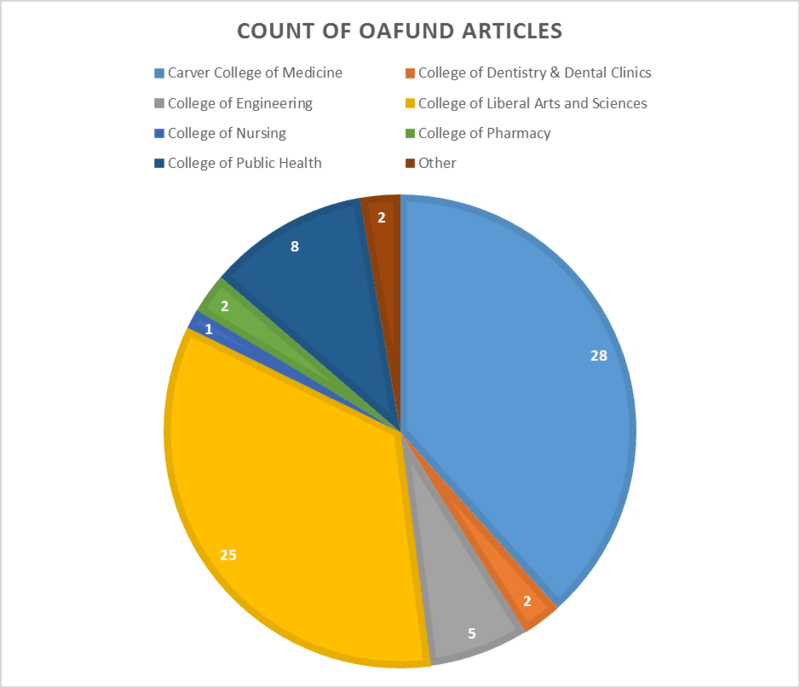 Articles required to be deposited according to NIH’s Public Access Policy are not eligible for the fund. The open access publishing model allows free, immediate access to research and allows authors to retain intellectual property rights to their research. Some open access journals charge article processing fees to make the work freely available online. More information about the fund can be found here. To date, 73 funded items have been funded, published and added to our institutional repository, with 10 published in 2015, 40 in 2014, and 23 in 2013. An additional 17 items have been approved and are awaiting publication. The author publishing charges for these 73 articles total $101,605.03, for an average cost of $1,391.85. 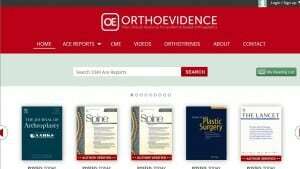 Most of the articles are in journals that are completely open access. A few are in hybrid journals. (If you have an item in a hybrid journal, you can may be able to post a version of the article in IRO without paying an additional fee. Contact Janna Lawrence for more information.) 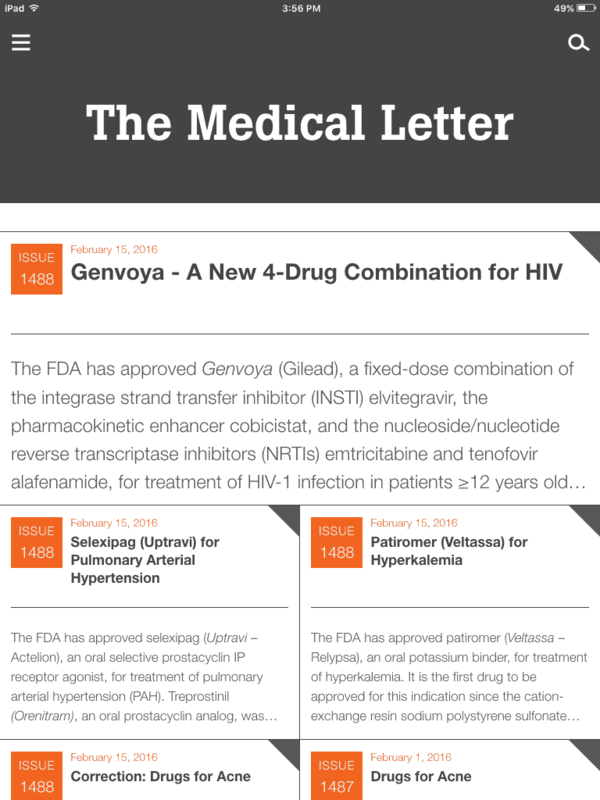 One article is available freely on the publisher’s site, but we cannot add it to our collection, because the publisher required that the authors give away their copyright of the article to the publisher as a condition of publication. 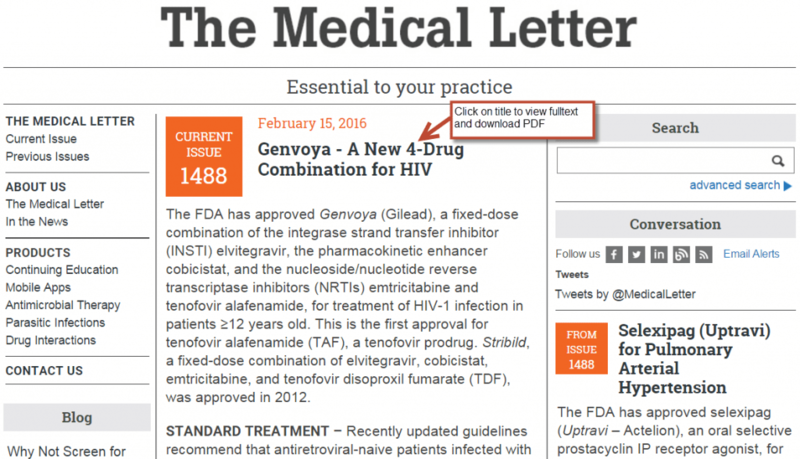 Learn to search our new database, TechStreet, to find these standards online and more. Taught by Kari Kozak, Head, Lictenberger Engineering Library. 3-4pm, East Information Commons, 2nd Floor, Hardin Library for the Health Sciences. PubMed Commons recently added a new feature: trending articles. 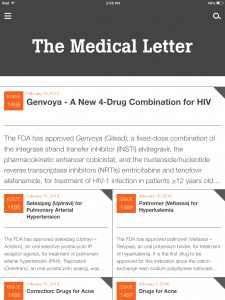 You can see a continuously updated list of which articles had new activity. The Hardin Library will be closed Monday, January 19 for the Martin Luther King Jr. holiday. The library will be open 10am-6pm Saturday and Noon-9pm Sunday. The library will begin regular semester hours, opening at 7:30am on Tuesday.